Posted on September 20, 2009	by Michael Gorton, Jr. This week on undertakingwine.com, I have decided to profile one of, if not my favorite grapes. Cabernet Franc. 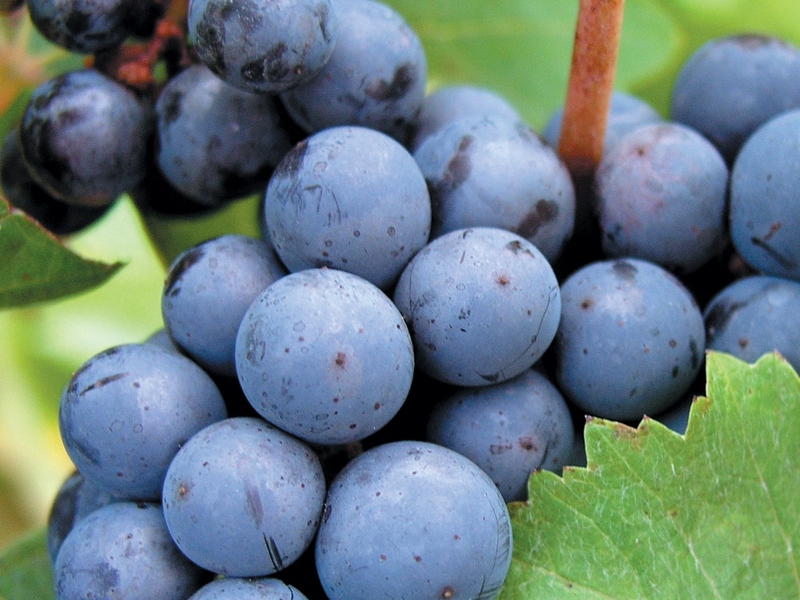 Cabernet Franc is one of the major varietals in the world. It is used when blending the Bordeaux style wine along with Cabernet Sauvignon and Merlot. But here on Long Island and around the globe you are starting to see this grape on its own. Which it should be. The grape can be traced back as far at the 17th century when it is believe to have been planted in the Loire Valley of France. It is also believed, according to DNA testing, to be one of the parents of the Cabernet Sauvignon grape, the other parent being Sauvignon Blanc. Some of the typical aromas of the grape, when made into wine are, Raspberry, cherry, plum, strawberry, tobacco, cassis, violets, and green bell pepper. There also have been notes of dried herbs, minerals, and earthy tones. This is a light to medium body wine and is lighter in color. It is a wine that pairs with such foods as wild game, tomato sauces, Ham, pork and veil. It is also very nice with cheese and pizza. I personally love it with roasted chicken and pizza. But I also enjoy this wine all by itself. I will taste Cabernet Franc from Long Island this week. Covering the vintages from 2004, 2006 and 2007. They will be from various vineyards and wineries. There might even be some teases about a few 2008’s that I have tried from the barrel. At the end of the week I will tell you my picks from the vintages that I featured…so stay tuned all week. This will be a fun week for me; I hope that you enjoy this as much as I do. Let’s raise our glasses to Cabernet Franc…CHEERS! This entry was posted in Cabernet Franc, Long Island. Bookmark the permalink. Looking forward to this, my friend. As you well know, cabernet franc is my favorite red gape. Maybe I’ll do a couple francs over on the New York Cork Report/LENNDEVOURS this week and join you in the festivities. Well it might be my second favorite in the world, but on Long Island it is the best berry around! Lets see what you got Mr. LENNDEVOURS. Bring it!